We are approaching the time of year when many couples get engaged and the first thing the future bride thinks about is her wedding dress. 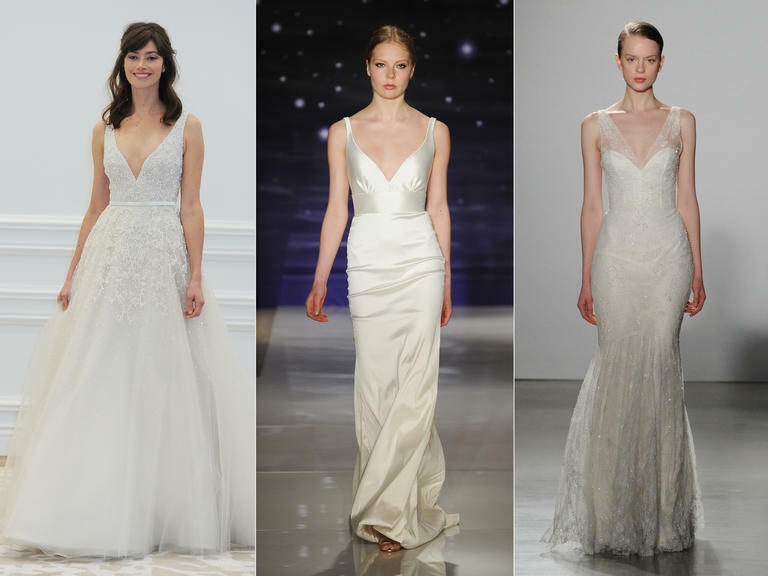 So, here are some tips on what style of dress is in for 2016. Like lace that has been extremely popular the last couple of years, floral appliques is the new look adding softness and femininity to the gown. The original wedding dresses, in the past were colored, mostly blue and then in 1840, Queen Victoria started the trend of wearing white on her wedding day. 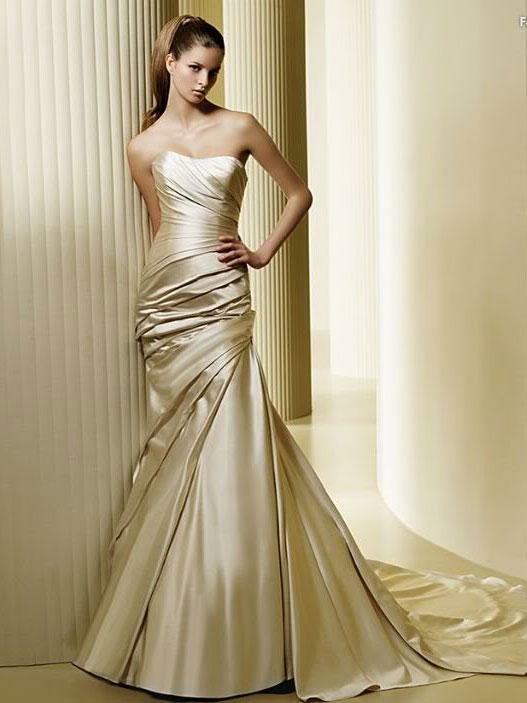 However, it appears that the colored wedding dress is coming back in light pastel colors such as ivory, champagne, blush, silver and gold hues. Do you remember the amazing wedding dress that Lady Diana wore on her wedding day? Do you remember the bows on the sleeves and at the back of the dress? Well, bows are in again. V-necks are also really big next year. 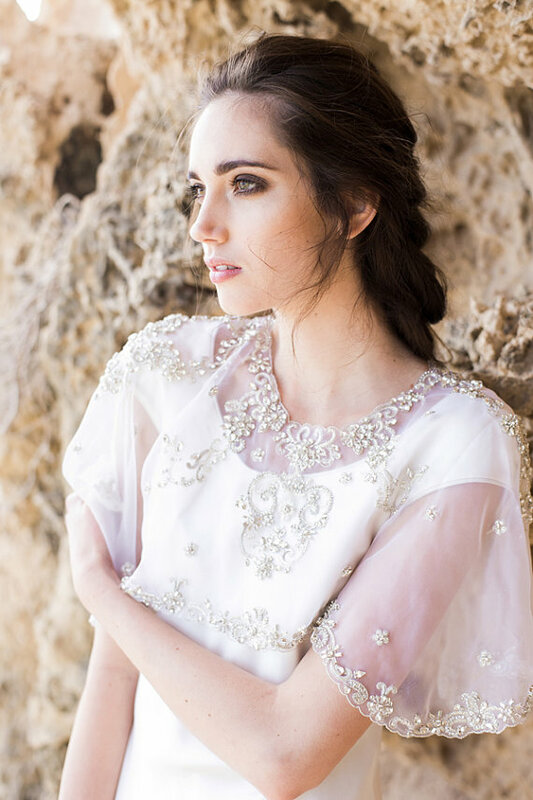 Long capes and capelets have also hit the wedding designer runways for next year, especially for winter weddings. And of course, the biggest change in the last year started by Kate Middleton, are wedding dresses with sleeves and straps. The strapless dress seems to be on the way out. 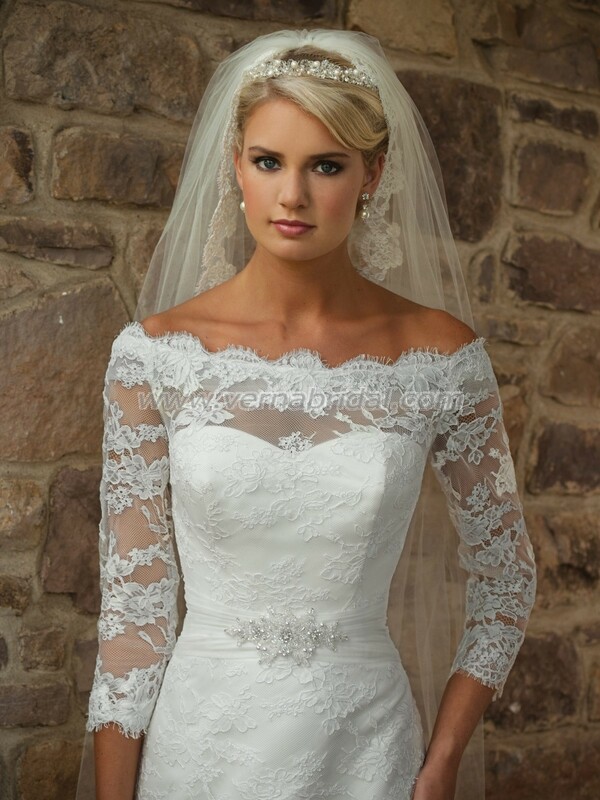 My favorite change in the wedding dress world is long veils…I love them because they add such grandeur to the bride and make her look so elegant. 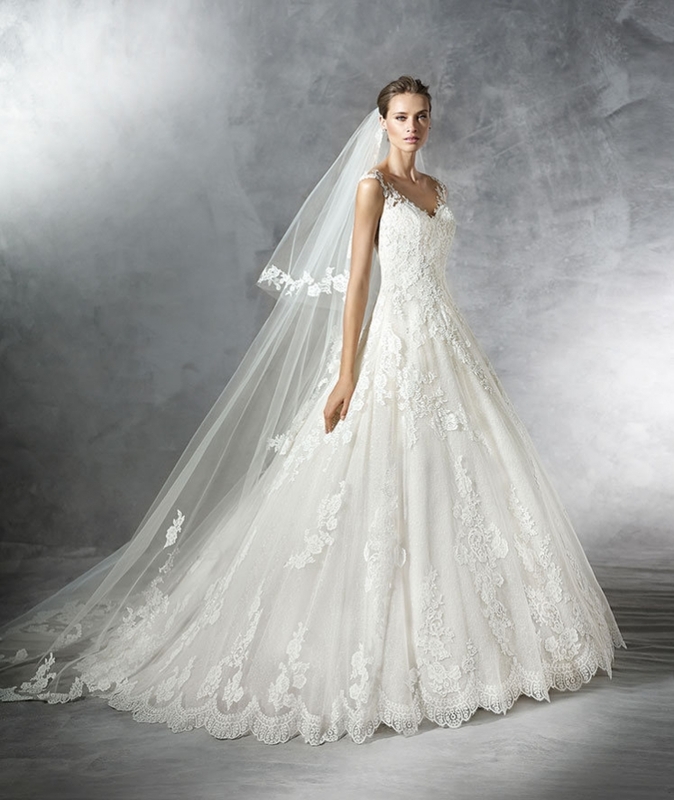 My preferred two wedding dress boutiques in Calgary; one is Novia Mia (http://www.noviamia.ca/). They have added a lot of designer dresses to their collection and I find their prices are very reasonable. Durand Bridal, the other boutique I really like, has an amazing selection of dresses (http://www.durandbridal.com/). Leslie Durand, the owner of the store, believes that every woman is beautiful especially on her wedding day and as a result, she has invested in dresses for women of different age, shape and size. She has many beautiful gowns in plus sizes; because every bride is special and should be treated that way. So, to all of you who have recently gotten engaged, congratulations and happy wedding dress hunting!